It could involve more than just three new iPhones and an Apple Watch. After last year's iPhone X introduction, you'd think anything Apple would unveil at its September 12th "Gather Round" event would be anticlimactic. Not so -- if anything, it could be one of the company's biggest launch events in recent memory. It's likely that Apple will announce three new iPhones, not to mention the first substantial changes to the Apple Watch design since its 2015 debut. And then there's a myriad of potential announcements beyond that, such as an iPhone X-inspired iPad Pro, the long-delayed AirPower mat and new AirPods. 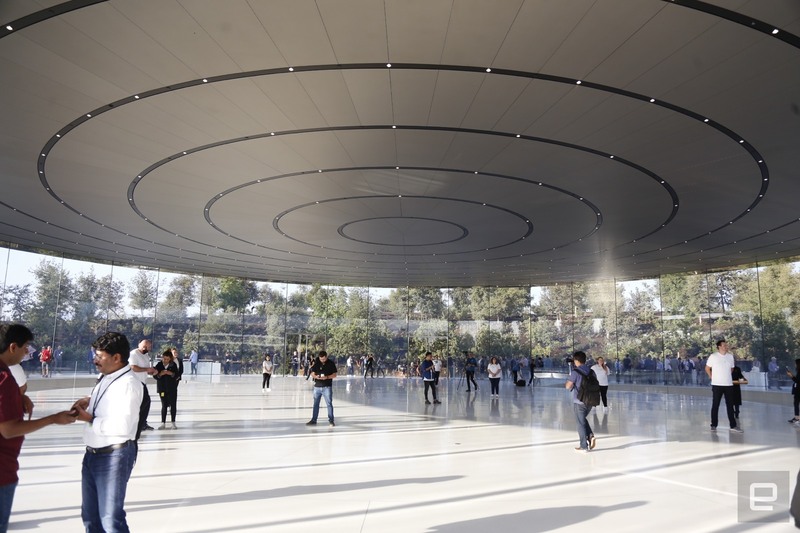 It's a lot to take in, but we're here to separate the wheat from the chaff and give you an idea of what Tim Cook and crew will reveal when they take the stage. If Apple was cautious in releasing just one redesigned phone in 2017, it's throwing that caution to the wind this year. According to analyst reports and leaks, the company will make the iPhone X's design commonplace by introducing three models that replace both the X and the 8, relegating traditional iPhone design to the low end. The top of the line would center around two models. One would be a direct evolution of the iPhone X (possibly called the iPhone XS) with a 5.8-inch OLED screen, depth-sensing front camera, dual rear cameras and other familiar traits. The other, however, would be a completely new "iPhone X Plus" with a gargantuan 6.5-inch OLED panel. It would tout the same core features as its smaller counterpart but its larger display (and presumably larger battery) would court power users and video enthusiasts. You'll reportedly have the option to run apps side-by-side in landscape mode like you can on the iPhone 8 Plus. Otherwise, these should be iterative upgrades focused more on refining the iPhone X's formula. You can expect a speed boost through an A12 processor that might be built with a faster, more efficient 7-nanometer manufacturing process. Kuo also predicted that both new OLED models would carry 4GB of RAM instead of the 3GB from last year's X and 8 Plus. Camera upgrades are probable, too. Subtler improvements could include faster LTE data through newer Intel chips (no Qualcomm this year) and speedier charging out of the box through an 18W USB-C power adapter. Other changes are less than certain. We'd take rumors of Apple Pencil support and faster wireless charging with a large grain of salt. But iOS 12 code has hinted at the possibility of an iPhone with dual SIMs, whether it's two physical cards or an eSIM to complement the usual one-card approach. This could be massive for countries where dual-SIM phones are common, such as China and India. 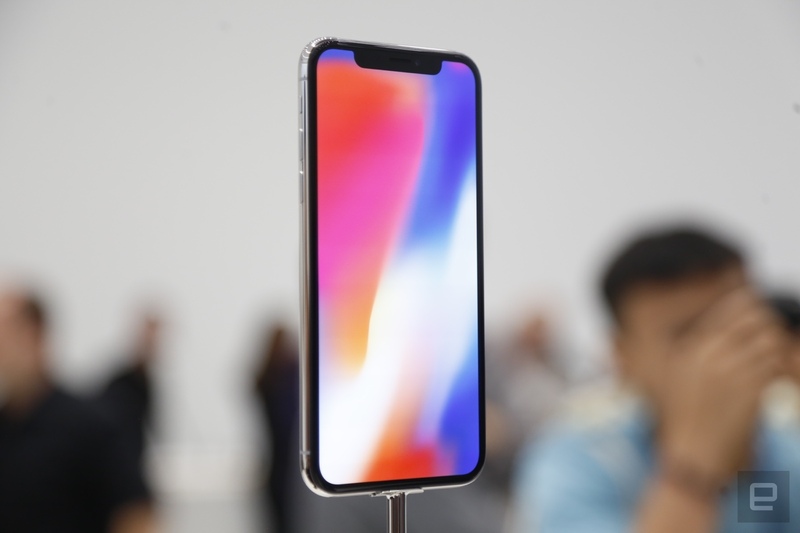 The star of the show, however, may be a lower-cost 6.1-inch iPhone that would borrow the notched display, depth-sensing camera and A12 chip of high-end models while scaling back other features. An LCD in place of an OLED screen would be the most obvious concession, but it might also carry a single rear camera, 3GB of RAM and aluminum trim in place of stainless steel. It might also drop pressure-sensitive 3D Touch and wireless charging, although you might get a bevy of color options like blue, red and orange. Think of it as this year's iPhone 8 -- it's what you get when you insist on high-end performance but can't quite stomach the premium prices of the OLED line. Pricing and availability are the one major unknown for the new iPhone lineup. The 6.1-inch LCD iPhone will probably slot into the $699-799 price slot of the iPhone 8 and 8 Plus. But will Apple cut the price of the 5.8-inch OLED iPhone to make room for the 6.5-inch variant or just charge more for the giant model? And you may have to wait a while to get the phone of your dreams. Rumors have Apple shipping the OLED phones later in September (likely the 21st, if history is any indicator), but the LCD model might be pushed back due to a late start on production. If there's another near-certain hardware announcement at the event, it's a next-generation Apple Watch. Series 4 (we'll assume that's the name for convenience's sake) is poised to be more than just a straightforward refresh. It might not be a complete remake, but it could appeal to early Watch buyers who've been waiting for a better-than-usual reason to upgrade. The most conspicuous change would stare you in the face: a larger display. Recent 9to5Mac leaks, backed up by claims from analyst Ming-Chi Kuo, have the Series 4 sporting a roughly 15 percent bigger screen. 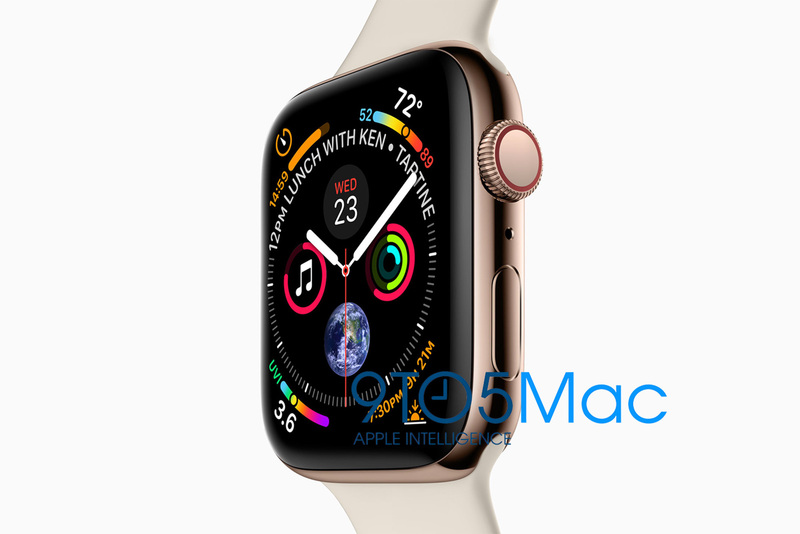 It's not certain that this will lead to a larger case (Apple may use smaller bezels), although Kuo has claimed that Apple might increase the sizes from today's 38mm and 42mm to 40mm and 45mm, respectively. A larger battery is a distinct possibility, regardless of the case size. You may not get the four-plus days of life that you do from Samsung's Galaxy Watch, but you might not scramble for a charger at the end of the night. You might also feel some differences. Fast Company sources have said that future Apple Watch models would drop conventional buttons (both for the crown and side button) in favor of solid-state components that, like the home button on the iPhone 7 and 8, would use haptic feedback to indicate presses instead of physical movement. The lack of moving parts would eliminate some of the tactility and might be finicky (just ask HTC U12+ owners). However, it could make room for larger batteries, improve reliability and even enable touch-sensitive heart-rhythm sensors. Other improvements aren't quite so clear. It's reasonable to presume that Apple will include a more powerful S-series processor, though, and Bluetooth 5 support would be a logical fit now that newer iPhones and Macs support it. We wouldn't rule out faster LTE data or more than 16GB of storage, but don't count on EKG monitoring or other major health-tracking changes. Those are just experiments that might not come to fruition for a while, if at all. You might also have to deal with a narrower selection of Watch models. Consomac noticed a European filing that listed only six Series 4 variants instead of Series 3's eight. This suggests that Apple may cut at least one of its existing options from the lineup to focus on its most popular models. We'll be blunt: While a new iPad Pro appears to be in the cards, there's a chance it won't show up at the September event. It might arrive at a follow-up presentation later in the fall alongside new Macs. If it does make a debut, though, Kuo and iOS 12 beta code have hinted at a near-bezel-free tablet that would use the same depth-sensing camera tech as the iPhone X, just without the notch. 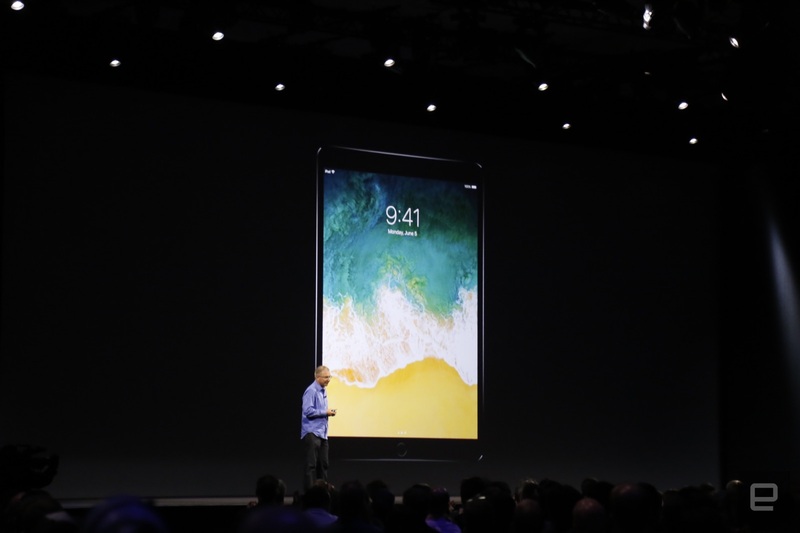 While the 10.5- and 12.9-inch screen sizes may not change much, you could see more compact devices that are slightly easier to handle. Just don't expect to see an OLED screen -- it's difficult to make large panels at the prices and quantities Apple would want. There isn't much known about other potential changes. It's reasonable to expect Apple would use a speedier variant of whatever processor sits inside the new iPhones (A12X, perhaps? ), and it's entirely possible that you'll see more storage or a new rear camera. Mac Otakara claims that Apple might drop the headphone jack like it did with iPhones, but it's not as likely given the iPad's roomier chassis. You might stand a better chance of seeing what Apple promised at its last iPhone event. After months of grappling with technical challenges, the company could finally release its promised AirPower wireless charging mat and AirPod wireless charging case this September. We're not expecting any significant changes in functionality. Don't expect major upgrades to the AirPods themselves, though. While there is talk of a refreshed model possibly launching this year with an improved wireless chip and hands-free Hey Siri, more substantial improvements like water resistance and noise cancellation aren't poised to arrive until 2019. If you're happy with the original earbuds, there probably won't be a compelling reason to upgrade this year. More than a few Mac fans are champing at the bit for computer updates, and you can't blame them. Most of the lineup is over a year old, and a few models (most notably the MacBook Air and Mac mini) have gone largely unchanged for years. But are they in line for an update in September? Not likely. There are reports of Apple planning to release a Retina Display-equipped MacBook Air equivalent and a pro-oriented Mac mini this fall. The Bloomberg leak didn't say they would appear in September, though. While we certainly wouldn't discount that possibility, it's more probable that Apple will wait to unveil both new systems at an October event alongside the iPad Pro. There's a chance Apple might update the iPhone SE, but only a slim one. There have been whispers of an SE redesign, but they've been sketchy and inconsistent. Some envision an iPhone X-style overhaul, while others point to a purely iterative upgrade. And when Ming-Chi Kuo doubts that a new iPhone SE will be ready in time, a 2019 release seems more probable. We're not expecting much else because most other Apple product rumors target 2019 or later. Not that there's much room to complain. Apple already has a lot on its plate -- it's just a question of whether the tech giant has room for anything more.